Pichilemu, 칠레의 콤 호스탈 피칠레무 | 호스텔월드에서 예약하세요. For group booking we ask to make a deposit of the 50% of the total amount of the reservation for confirm the booking. The group have 72 hours after booking to make the deposit or the hostel will ask to cancel the booking. Kom hostal recommends to contact by email before booking for being sure of the conditions. Like at home, hospitality and comfort is what Kom Hostal provides. From a warm welcome to warm beds. 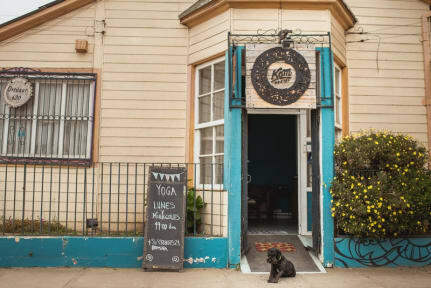 The best buffet breakfast you could try in Pichilemu; freshly baked bread, natural fruit juice, cereals and vegan pastry and jam made by the owner. Ecofriendly & Petfriendly Hostel. 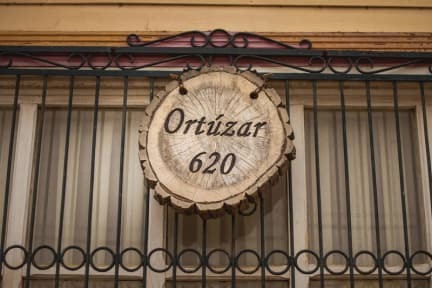 Located in the centre of Pichilemu, five minutes on foot from the beach and 10 minutes by car from Punta de Lobos. Kom Hostal is in front of a Bank (ATM) and of a Police Station, near local markets, supermarket, drugstore and good restaurants. In addition, some of the finest attractions of our area such as Old Train Station and Parque Ross are near to our facilities. We offer rooms that portray the charm and hospitality of the village. Spacious shared rooms and comfortable private rooms that provides the feeling of sleeping in your beach house. In addition, we have several common areas where the guests and travellers can get together and exchange past experiences and future plans. You could have breakfast for pay.